Perfect for grand openings and special events. 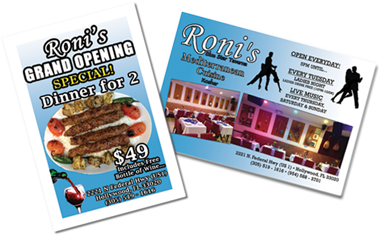 Club flyers, promotional flyers, restaurant flyers. 1-3 day turnaround provides a cheap and easy way to get the word out FAST! Flyer Design, Print & Delivery Flier Design, Print & Delivery!